Comm Eye Health Vol. 16 No. 48 2003 pp 56 - 57. Published online 01 December 2003. 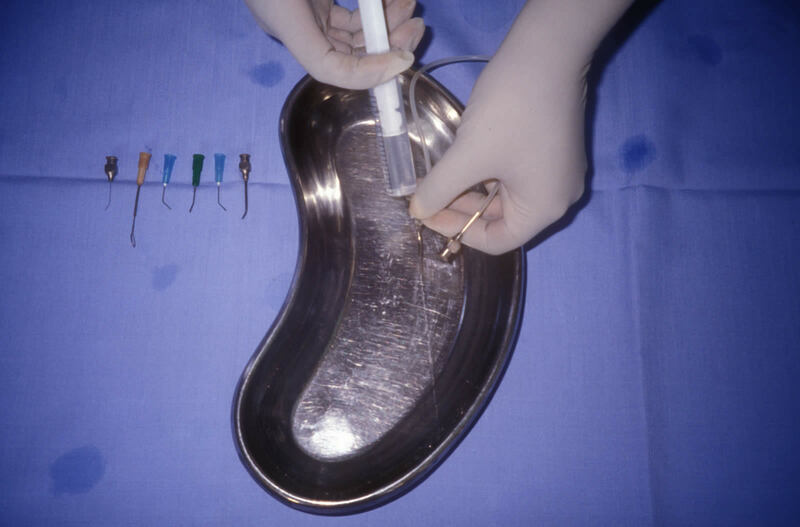 Protect the tips of all sharp instruments with silicone or rubber tubing. 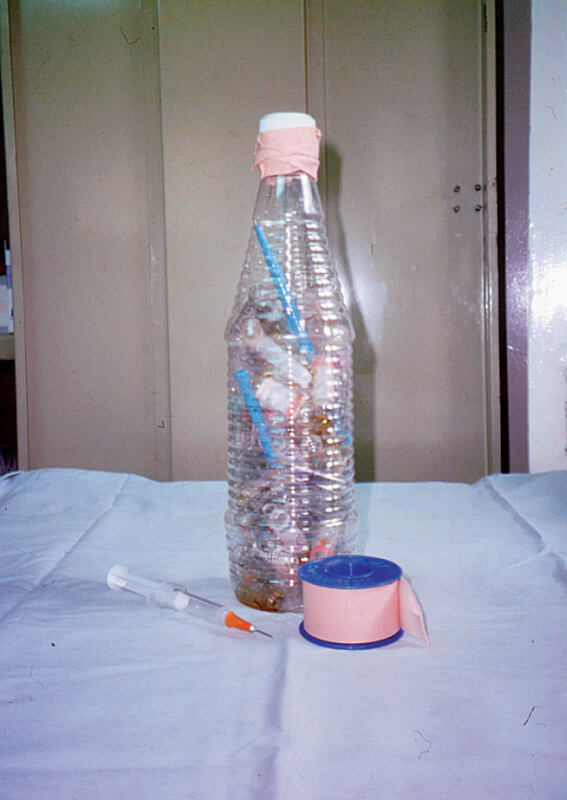 Intravenous infusion tubing or tubing from “butterfly” intravenous needles may be used. 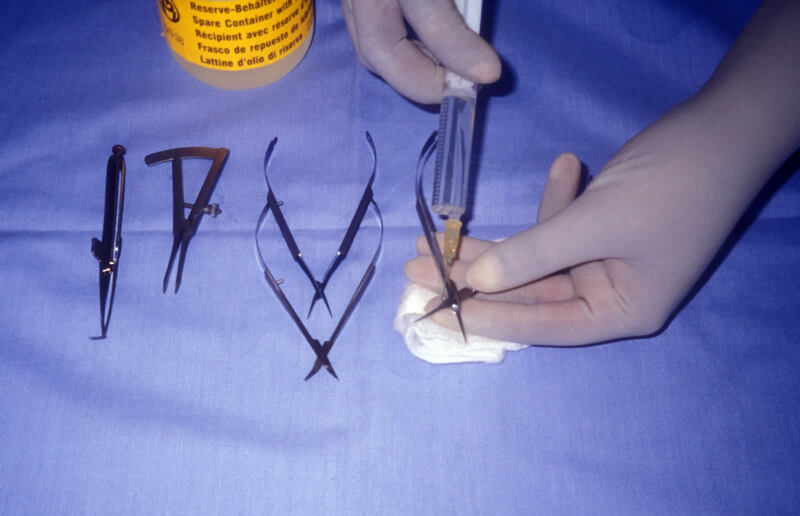 Discard used needles immediately after use. Place in a receptacle used only for this purpose. Preferably use small receptacles and dispose of them daily. Seal and incinerate the receptacle when almost full. Use a soft toothbrush and hot soapy water to thoroughly clean each instrument, individually, in its open position. 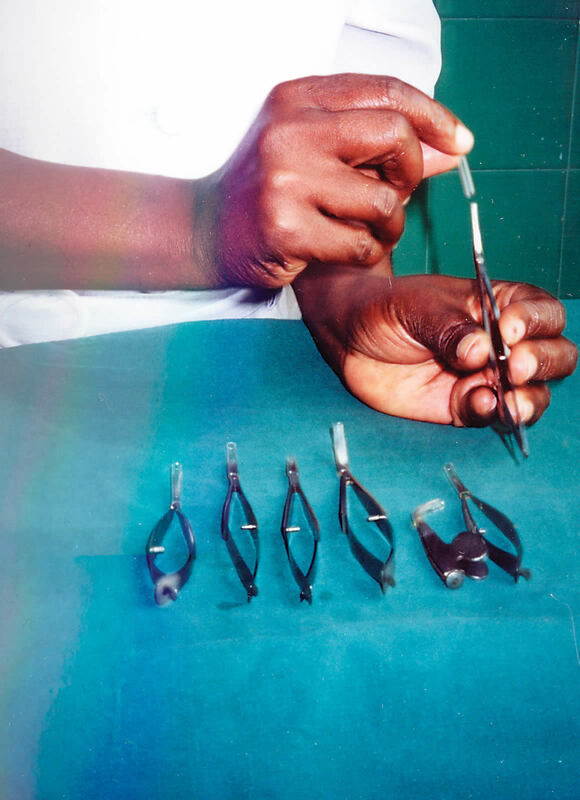 Use a lubricant immediately after cleaning hinged instruments to prevent stiff joints and inhibit rusting. Dip the instruments only and then rinse, but do not leave to soak. 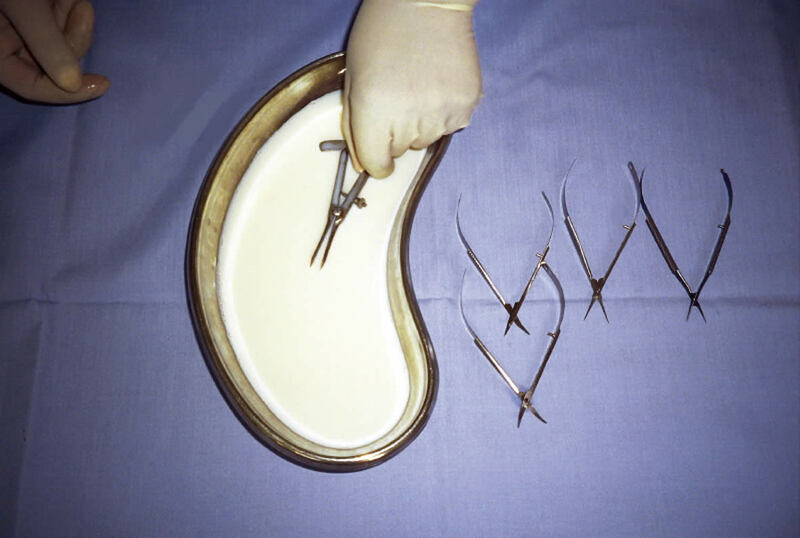 Down’s Surgical Instrument Lube or Dixey’s Surgi-Slip are recommended. Instruments must be dried thoroughly before storing. 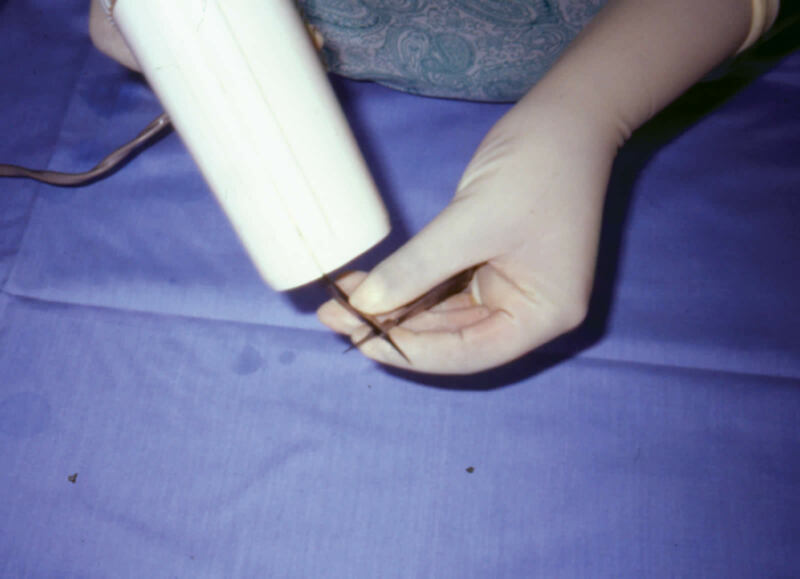 Dry gauze (used cautiously), or a hairdryer may be used. Stored hinged instruments need oiling weekly. 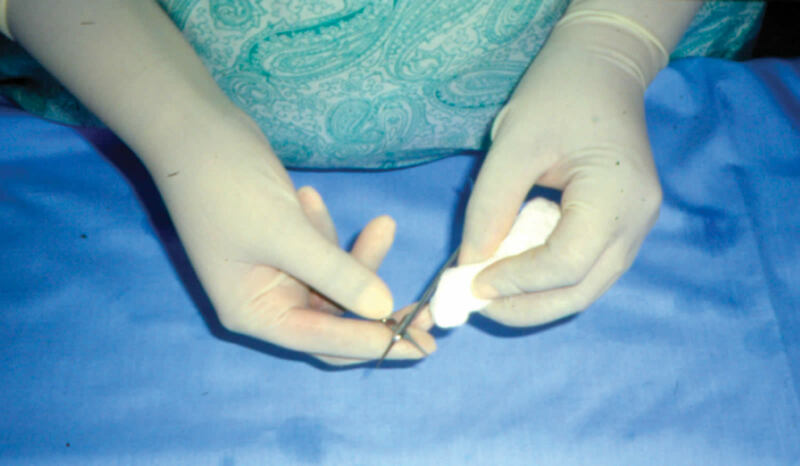 Use a 2 ml syringe and 21G needle to draw up the oil and a 25G needle to apply the oil to the joints. Surplus oil should be wiped off carefully with gauze. Ordinary sewing machine oil is recommended. 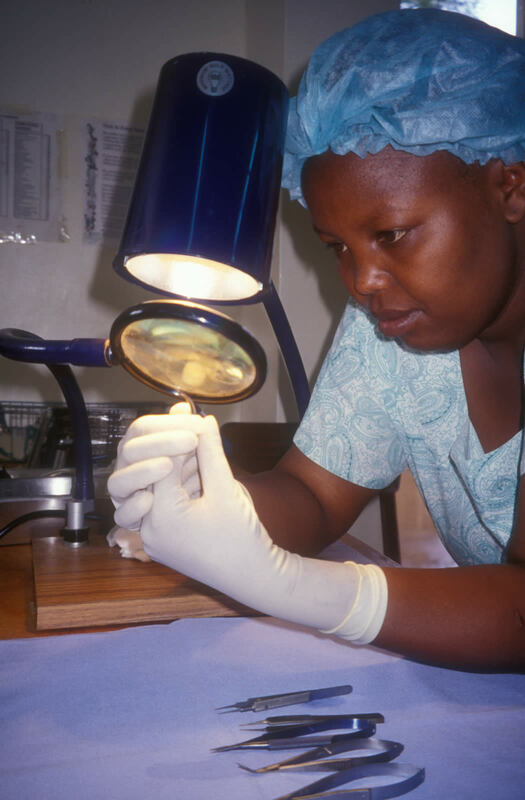 Inspect instruments for alignment and sharpness under a good light and magnification. Check the lumen is patent (not blocked) by flushing through with clean hot water. 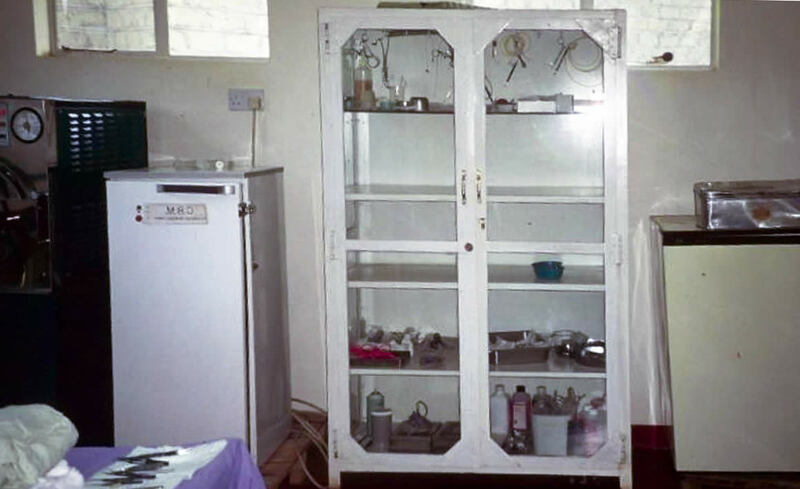 Glass shelves, in a lockable cupboard, provide for secure storage and checking. Never pile instruments on top of each other. A well ventilated room is recommended. 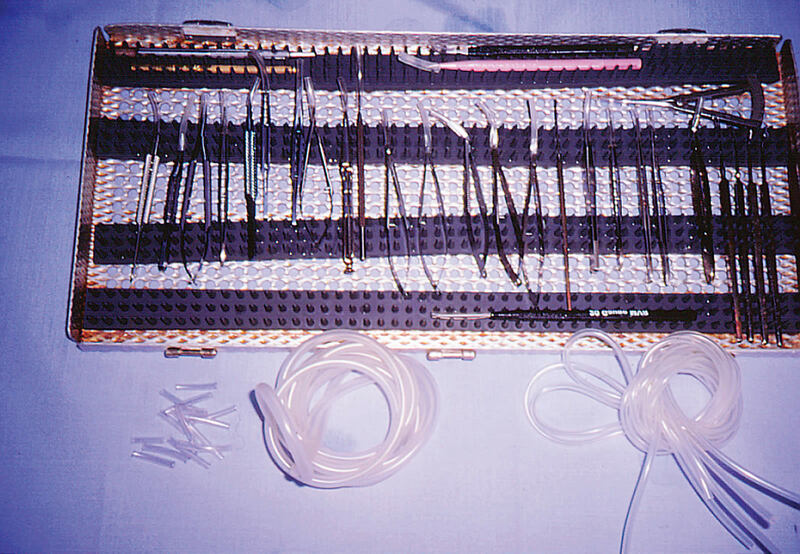 Individual slots in the tray hold a single instrument. Instruments must not touch each other. 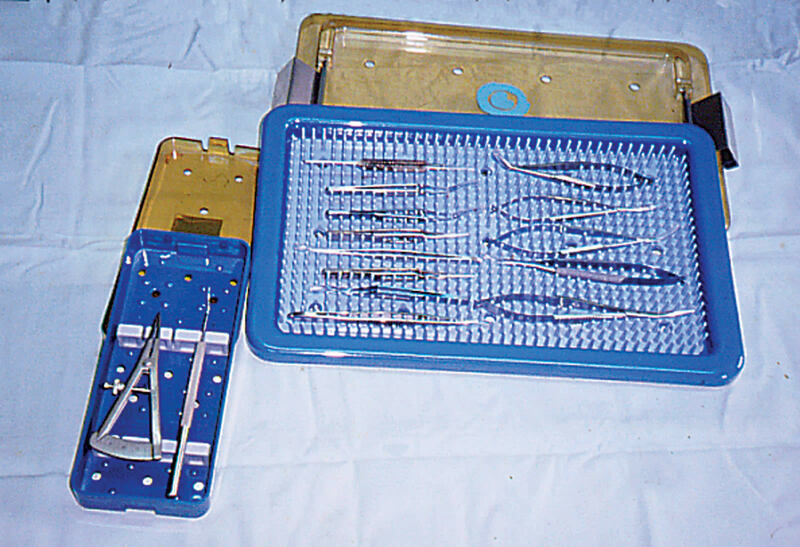 The tray can be used for storage, transportation and during sterilization procedures. 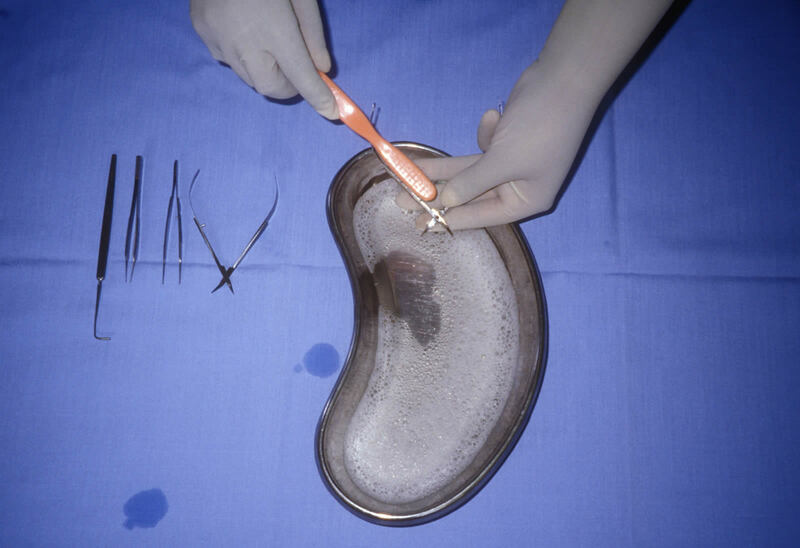 Cases may be metal or plastic and contain a protective silicone mat. 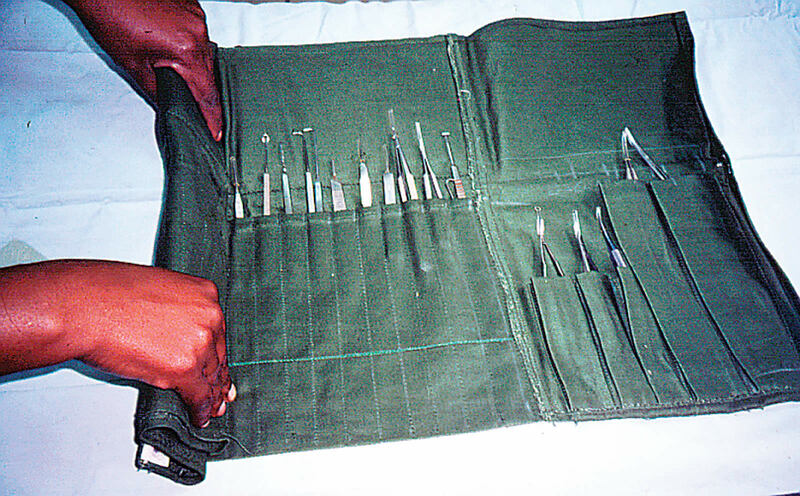 The case can be used for storage, transportation and during sterilization procedures. Rolls, made of strong fabric, are inexpensive. Each pocket holds a single instrument. Secure the roll with ribbon or cord – not elastic. Use rolls for instrument storage and transportation only.